For the last several years, Kyle’s and my life plan has been for him to do a postdoc in his field and for me to be the ‘trailing spouse.’ We thought he would graduate and move to that position before I graduated, but it turned out that I defended only a couple months after he did, and he stuck around in his PhD advisor’s lab to finish up a couple papers as a short-term postdoc as he didn’t feel quite ready to apply for his next position. This resulted in a rather difficult last year for us both personally and financially. I was funemployed for a season and then spent 3 months in DC doing a fellowship. Our most recent solution to our two-body problem has been for me to be self-employed, building my business while I also do contract/freelance work. 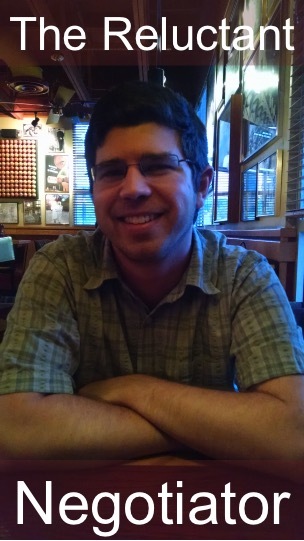 Kyle was ultimately spurred to start submitting applications when his top choice for a postdoc advisor was scheduled to give a seminar at Kyle’s university in early May. A few days before the visit, Kyle sent her an inquiry about a position in her lab. She responded the following day with a very nice email that suggested they find some time to talk about this during her visit. Her schedule ended up being fairly tight during the visit, so they had a Skype conversation early the following week. They got along very well and had very similar philosophies with respect to their research. Kyle was excited about the possibility of having her as his postdoc advisor. She invited him to visit her lab for an in-person interview. In mid-May, Kyle visited the potential postdoc advisor’s lab, interviewing with her again and meeting all the other grad students and postdocs. Kyle liked the other lab members and thought they would be good to work with. After talking more about research objectives, the postdoc advisor offered him a position. Kyle was further convinced that she would be a great advisor and it would be a wonderful training opportunity, especially because they decided he would spend about 30% of his time deliberately expanding his skill set. She wanted a response by the end of May for a start date ASAP. We were very surprised by the speed of these events as we were always told that landing a postdoc would take 6-9 months. A few weeks before the postdoc advisor’s visit, Kyle was forwarded a job listing for a position at a start-up company that seemed to be written just for him. 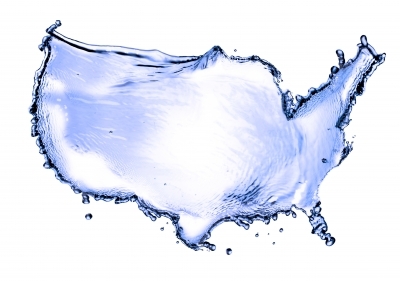 Kyle’s research area is rather new and small, and there aren’t many private sector jobs at this point that are exactly in his area of interest – but this one was precisely in his wheelhouse. The day after he emailed the postdoc advisor, he submitted his CV to this start-up. He received a response the next day and scheduled a phone interview for the following week. Everything went well with the phone interview – they mostly just discussed research – and he was invited to interview in person at the end of May. The interview went very well (no behavioral questions!) and Kyle was excited about the job and company. He very very impressed with the co-founders and the person who would be his immediate supervisor. (It happened that we have a friend who used to work with the supervisor, and he vouched for him as a very smart, nice guy.) The start-up extended Kyle an offer about 24 hours after his interview and requested that he start by August 1. We were again surprised that this hiring process moved so quickly – less than a month from the initial inquiry to the offer being made. Kyle had a very tough time deciding between these two offers. The process was made all the tougher because 1) he was under a lot of time pressure and 2) his PhD advisor was all for Kyle taking one of the positions, which spurred me to be all for him taking the other position. Kyle was stuck in the middle between the two of us. It wasn’t until he implored me to put away my argumentative bias that we were able to talk it through objectively and thoroughly and come to a decision. The most difficult aspect of this decision was that the work was very similar (and attractive), but the settings were very different and his career path would be differently affected. The postdoc would allow Kyle to defer for several more years the decision of whether or not to stay in academia and gain additional training in the meantime. If Kyle did end up in industry, it might have been better to just go straight into a real job, but not certainly. The upcoming posts in this series will discuss the negotiation process Kyle had with each job, all the factors that went into our decision (lots more detail about these two positions! ), and finally our plans for our move. Postdoc or real job? How quickly did your last job search process move? Have you ever had a hard time deciding among offers? 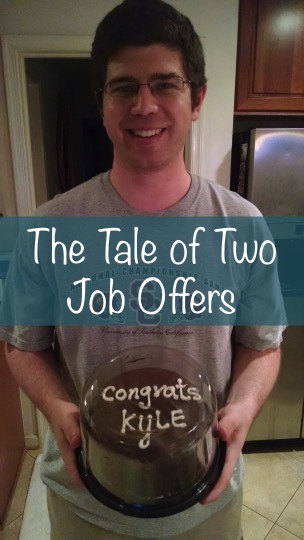 10 Responses to "The Tale of Two Job Offers"
I had a bit of a hard time deciding between two job offers and interestingly, ended up picking the lower paying one (by about 15-25%) partially because I knew more people in the group and partially because I knew more about what I would be working on. It seems to have been a good decision so far! ITA that pay isn’t everything. You’ve put yourself in a position to be able to make that choice responsibly. I’m glad it seems to have been the right decision. That’s good, Kyle! Congrats! Whatever you feel is the right thing to do! Choose wisely. They are both great options so he really can’t go wrong! Congrats on getting TWO job offers! That’s a win-win. We had the same debate recently, and I was pushing for industry. This is especially so since the best academic job was in Switzerland where I’d have a spouse visa. OMG yes, I could not handle being on a spousal visa if it is similar to the one in the US. I recently made a friend who is currently on a spousal visa and the novelty of being in a new place has finally worn off for her; it’s tough.